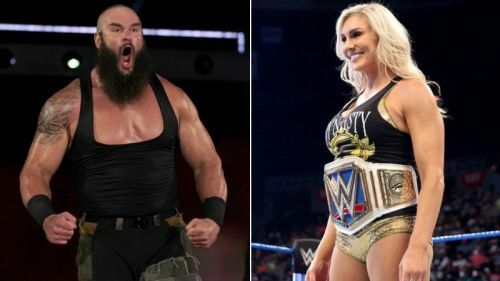 Will Braun Strowman and Charlotte Flair leave as champions? Eight matches are scheduled to take place at the 2018 WWE Hell In A Cell pay-per-view in San Antonio, Texas on Sunday. From the Raw brand, the following matches have been confirmed: Roman Reigns vs. Braun Strowman (Universal Championship Hell In A Cell w/Mick Foley as special referee), Ronda Rousey vs. Alexa Bliss (Raw Women’s Championship), and Drew McIntyre & Dolph Ziggler vs. Seth Rollins & Dean Ambrose (Raw Tag Team Championship). From SmackDown Live, the following matches have been confirmed: AJ Styles vs. Samoa Joe (WWE Championship), Jeff Hardy vs. Randy Orton (Hell In A Cell), Charlotte Flair vs. Becky Lynch (SmackDown Women’s Championship), The New Day vs. Rusev Day (SmackDown Tag Team Championship), and Daniel Bryan & Brie Bella vs. The Miz & Maryse. As things stand, no matches are scheduled for the event’s kickoff show, but at least one match is expected to be announced before Sunday. In this article, let’s predict the outcome of every match that has been confirmed so far for Hell In A Cell. 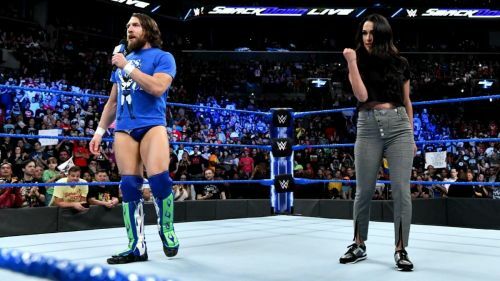 The Miz used brass knuckles, handed to him by his wife Maryse, at SummerSlam to defeat Daniel Bryan, so Brie Bella returned to SmackDown Live last month to help her husband and even up the numbers. It has already been announced that Bryan and Miz will have a one-on-one rematch from SummerSlam at Super Show-Down on 6 October, with the winner becoming the #1 contender for the WWE Championship. It seems likely at this stage that “The A-Lister” will win the match in Australia, just like he did at SummerSlam, and that Bryan will enter the WWE Championship picture further down the line. If that prediction is correct, then that surely means that Bryan and Brie will win on Sunday. Miz going 3-0 against his rival in consecutive PPVs just wouldn’t be right!